This view shows the entire flightline area. 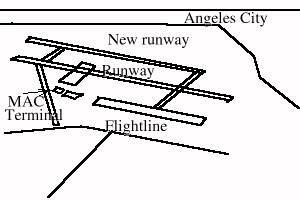 All of the buildings seen here were airfield-related buildings or dormitories. 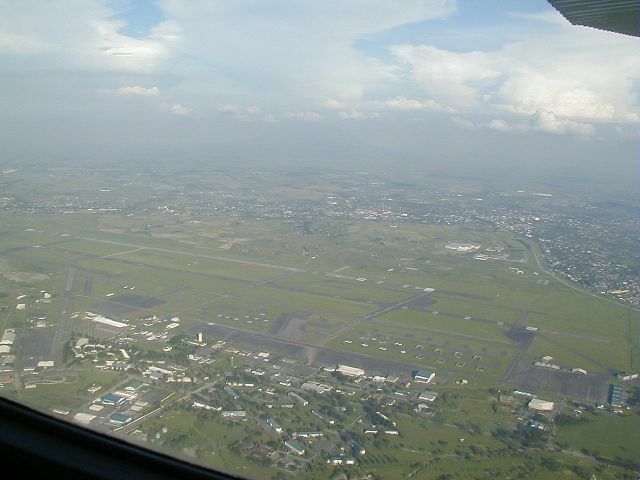 In the distance can be seen a new runway (02L-20R) which was constructed in the mid-1990s to expand the airport. Want to correct or clarify information about this photo? Send an E-mail to clarkairbase@clarkab.org. Mention you are referring to page "a08.htm".